Grand Cayman is a larger island situated in the Caribbean smack in the middle of the water between Honduras, Cuba and Jamaica. It is an incredibly popular tourist destination and a very common stop for many Western Caribbean cruises. The area is known for its crystal clear blue water, incredible sea life and wealth of beach based activities. There are many different types of Grand Cayman Shore Excursions to choose from, however many of them are tailored to thrill seekers and underwater adventurers. Luckily those aboard family cruises or traveling with small children will still find many things to do on Grand Cayman, and there are numerous exciting Grand Cayman shore excursions to enjoy while traveling with children. Many of them focus on the island’s unique ecosystems and amazing wildlife and some even provide an up close and personal hands on experience that kids are sure to enjoy! So check out this list of the best picks for Grand Cayman excursions for families traveling with children to help you make the most of your time on one of the Caribbean’s most popular islands. 1. Turtle Farm: There is no doubt that one of the most well known animal stops on the island is Stingray City, home to a wealth of the gelatinous flat sea dwellers, but the adventure may be too challenging with young ones. The turtle farm is a good alternative that still provides kids a way to touch some sea life and get very up close and personal. A bus takes passengers to the turtle farm where once the excitement of the slow moving species runs its course, children can delight in wading pools and swimming areas along with a mock snorkeling set up that is perfect for very young children. It is a sure winner among Grand Cayman shore excursions for families with little ones and gives children a taste of some of the activities that adults can enjoy in the area. 2. Semi Submarine Tour: While adults traveling sans kids will no doubt want to experience scuba diving based Grand Cayman excursions, it is not a safe or appropriate activity for young children. So how do you get a boat load of kids underwater without having to worry? A semi submersible craft that glides past coral reefs, schools of fish and even the occasional scuba diver in awe inspiring (yet air conditioned) bliss. The subs alternate between surface cruising and shallow water diving to provide a safe and secure look at the inhabitants beneath the water’s surface. These Grand Cayman shore excursions are ideal alternatives to snorkel and scuba and are especially well suited for very small children. 3. Trolley Roger Tour: The thought of educational based Grand Cayman Shore excursions may be enough to make kids squirm in their seats, but the unique, open air Trolley Roger tour gives guests a beachy and fun way to learn a little bit about the island around them. Visitors can learn about the history of the island on the tour as well as information about some of the oldest buildings on the island. The learning factor alone may be enough to convince some parents to book a tour on the Jolley Roger, but there may be another benefit as well, and that is cost. Given the expense of cruises to Cayman Islands and activities in port, inexpensive tours like the open air, slow motion trolley are a welcome relief to many an exhausted wallet. 4. Duck Tour Excursions: Ducks are popular ways to experience both the shore and the surf and they make for exciting adventures for children who are not used to their land based vehicles taking a dive in the drink. A bumpy ride on land passing blue and green iguanas at many a turn gives way to a watery whisk into the turquoise waters where guests can observe corals, turtles and an incredible diversity of fish species. Like sub tours, ducks provide a way for children to experience some of the sights and sounds typically reserved for diving and snorkeling based Grand Cayman shore excursions but from the comfort and safety of a slow moving vehicle. 5. Saltwater Forest Excursion: One excellent choice for seeing all that the island has to offer is the saltwater forest tour. 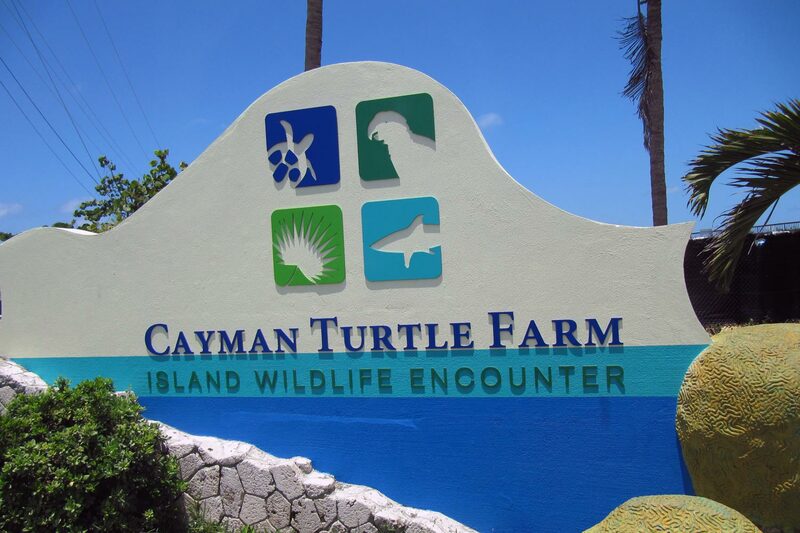 It is a particularly excellent option among Grand Cayman Shore excursions for families traveling with children because it provides sightseeing opportunities, historical education and lots of animals (and touching them!). The tour starts with a bus ride through historical parts of town (with a pit stop in “Hell”) that leads to an educational pontoon ride through mangroves where guests learn about the delicate ecosystem they are encountering. Guests can even take part in touching jellyfish before the end of the tour, an absolute favorite with children. However, the tour does not end here and its finale takes advantage of the fact that Grand Cayman makes for some of the best beach vacations in the world, taking tourists to the famed seven mile beach. Here, the young and the old can delight in the brilliant white sand beaches and shallow, clear waters. The Saltwater Forest Tour is one of the best Grand Cayman shore excursions to consider with kids in tow, and is a favorite for many who have stopped here on Western Caribbean cruises.